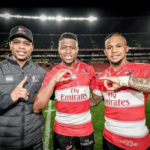 A rare break from rugby in the off-season may allow Elton Jantjies to realise his potential in the lead-up to the 2019 World Cup, writes JON CARDINELLI. 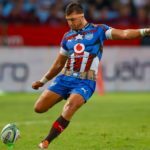 Handré Pollard’s tactical masterclass on Saturday served as a highly encouraging start to the season for the Vodacom Bulls and the Springbok flyhalf, writes CRAIG LEWIS. 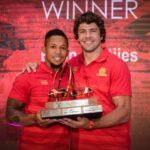 Elton Jantjies has been named the Lions’ Most Valuable Player for 2018, while Malcolm Marx won the Players’ Player of the Year award. 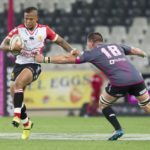 Senior statesman Elton Jantjies insists the Lions have the experience and the quality in depth to push for the Vodacom Super Rugby title this season. JON CARDINELLI reports. 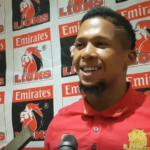 Assistant coach Joey Mongalo says Springbok trio Elton Jantjies, Lionel Mapoe and Aphiwe Dyantyi will be utilised in the Golden Lions’ must-win game against the Pumas on Friday. MARIETTE ADAMS reports. 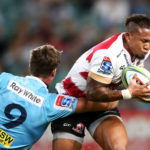 Rassie Erasmus says Handré Pollard and Elton Jantjies knew from the start of the Rugby Championship who was set to start Saturday’s Test against Australia.